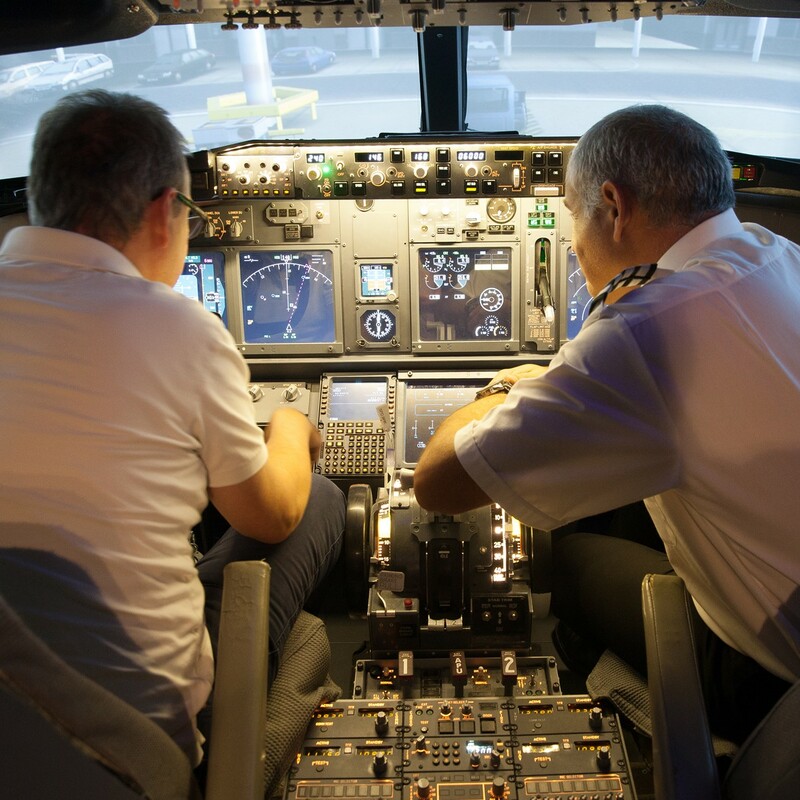 JUST YOU – AN INSTRUCTOR – AND A 737 FLIGHT SIMULATOR ALL TO YOUR SELF FOR A FULL DAY! This truly unique product is designed to fully immerse you in the world of the big jet pilot! Whether you have never flown before, are an experience PPL or flight simulator enthusiast or even a commercial pilot we can tailor the day to meet your needs. This is 5 hours at the controls and a further 2-3 hours of briefings. A truly remarkable experience. This flight simulator course is tailored to your current experience level or lack of it! This is a chance to learn how to fly the 737 800 properly. Our goal regardless of your background, is to introduce you to scan flows, checklists, low visibility operations, instrument flying and emergencies as well as introduce you to the multi crew environment. We treat the simulator like it is a real aircraft with each flight starting with the engines off, you will be responsible for push back, engine start and pre-flight checks, you will learn to program the flight computer and taxi to the runway whilst listening to ATC, you will then complete multiple flights with each sortie starting with a thorough briefing and ending with a debriefing. We don’t have any set session lengths, rather your instructor will pace the day so you remain alert and engaged. 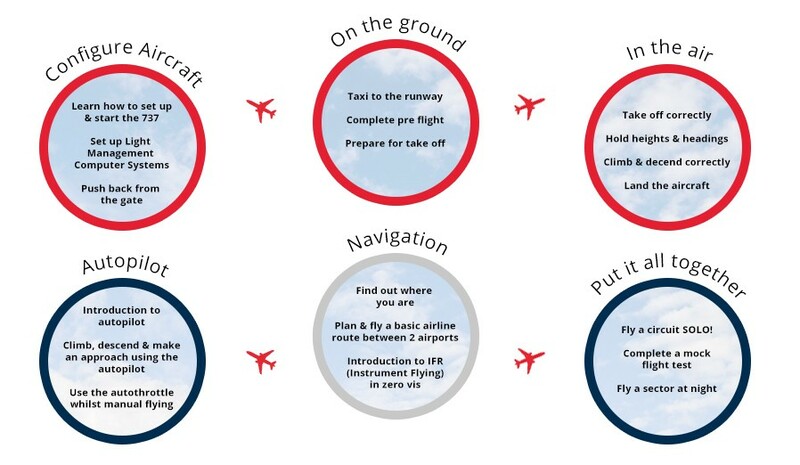 Throughout the day we are preparing you for a complete A to B flight using real world procedures where you play the captains role and your instructor simply does what you tell him to do! sounds unachievable, most people are amazed at what they can achieve in 8 hours of intense training! But there is more!! Once you have completed the training you will be eligible to hire the simulator with friends and family without an instructor at a massively reduced hourly rate of £100. Your last flight we film which you can then take home as a reminder of the day! 160 degree wrap around visual system for total realism. This was a Christmas present. One hour 737 800NG flying experience (In a Simulator of course) but this as real as it gets outside of taking my commercial pilots license. This was an exceptional experience. 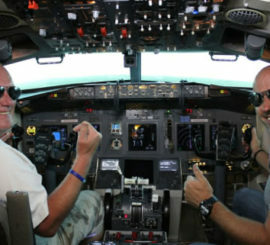 Jamie was my Instructor and took me through the pre-flight briefing before installing me in the Captains seat. 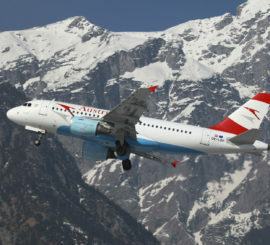 I chose Salzburg to Innsbruck for a touch and go before returning to Salzburg. I chose this route as it was challenging being surrounded by Mountains (I felt I could reach out and touch them)..Taxi out to the runway (find the brakes to stop crashing into the aircraft ahead!). Once the traffic had cleared the runway we lined up….throttle up and we were on our way. 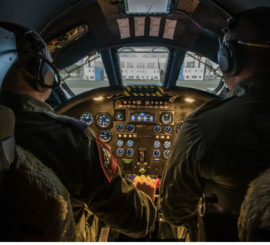 Fiona took the jump seat….back seat pilot…watch that Mountain….it’s ok I can see it. Following the valley I spotted the runway…sharp right turn ..line up and then down…Jamie looked after the throttle as I my hands full watching height and direction, touch down and full throttle to climb out for the return. A steep left bank brought the Mountains perilously close but we skimmed by. This was fantastic and would recommend this for budding pilots and anyone interested in flying. 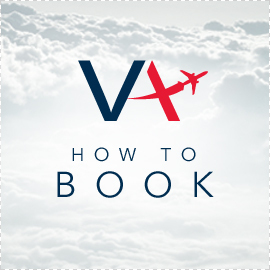 Well done to Virtual Aerospace and thanks Fi…this was great !